We have just received this announcement from the committee of the Dartmouth and District Chamber of Trade. 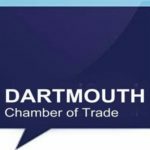 This will be your opportunity to decide if the Dartmouth Chamber of Trade will continue to operate in its current form. And will also allow you to elect a new committee to take over from the current team. In our opinion it is vital for the business community in Dartmouth to have a voice, the louder the better. Today we are not represented on the Town Council or the District Council and we have little say over issues such as our declining footfall and the increase in charges for Mayors Avenue car park. Without your voice Dartmouth’s economy will continue to struggle in a tough competitive environment. The West Country is experiencing positive growth but this is not being shared by Dartmouth yet. 4. Limited Company. Resolution to de register. Current Committee members: Dave Cawley Chairman, Mike Freeman, Roger Jordan they have all resigned as Directors of the Ltd Company but still maintain their committee membership. It is my understanding they all want to stand down. About the Chamber: The Chamber itself was founded in 1939, and has been run since that time by local businesses and their representatives. The Chamber seeks to provide a modern way for all businesses in the town to engage both with each other, and the most pressing issues of the time. The Chamber is a meeting place for sharing business expertise and contacts, and will promote these principles with a series of networking events. The Dartmouth Chamber of Trade is a statutory body recognised by Dartmouth Town Council, South Hams District Council, Devon County Council, our MP Dr Sarah Wollaston, The British Chambers of Commerce and many others. • Help all local businesses, to be more successful. • Provide networking opportunities for Dartmouth and district businesses. • Provide a channel through which the Chamber can act as the voice of Dartmouth businesses. • Help drive up employment opportunity for local people. • Provide help and consulting for any member company or non-member who requests assistance. PS are we members ? Yes you have been a bit invisible since the BID. The committee consists of Dave Cawley Chair with Mike Freeman and Roger Jordan as other committee members. Their aims and objectives are stated on the webpage they created when they removed the previous website we created to communicate with members. Official membership has dropped to the twenties I think, but that is because no one has responsibility for maintaining membership. I have a list of over 90 members who have lapsed or closed their businesses but I am sure there are some new faces in Dartmouth who might inject a new enthusiasm for the Chamber of Trade. If you read the results of my survey (25 respondents) you will see they are Unanimous in believing we need a strong Chamber. Without it the businesses of Dartmouth do not have a voice at all. Can you please discuss this with Cllr Bastone who, at the last council meeting, criticised my obsession with footfall numbers which he does not understand, because in his words “the DVC has seen a 10% increase in visitors! and the car park is full”). Please bring your enthusiasm for Dartmouth to the Chamber EGM in July. I am sure you would encourage more businesses to support the Chamber if you did. You don’t have to be a committee member yourself, just be a catalyst for people to join. I will add some of this to my website post for information. Nigel, you chaired the TIC for a decade and more. What are they doing, and in your leadership what did they do ?